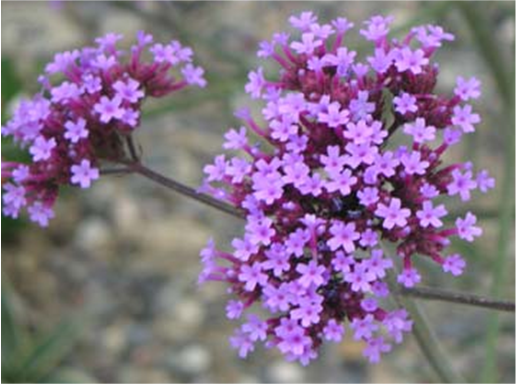 Verbena bonariensis is a very popular, long flowering and versatile herbaceous plant, ideal for the mixed bed. A tall perennial with tight clusters of lilac pink flowers on top of square stems, it is a great plant for creating stunning combinations with other summer flowering plants. 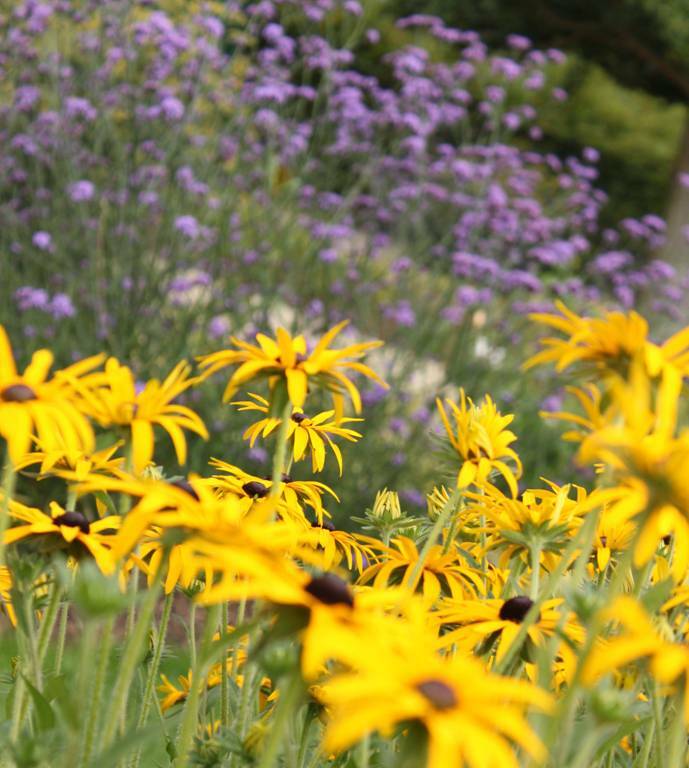 It is particularly effective when planted alongside drifts of red and orange crocosmia; a delicate haze of white gaura or my favourite, dense waves of deep yellow rudbeckia. Plant these against a light rendered wall and the effect is stunning. Their light form is easily caught by the slightest breeze and this movement creates a wonderful dynamic effect. 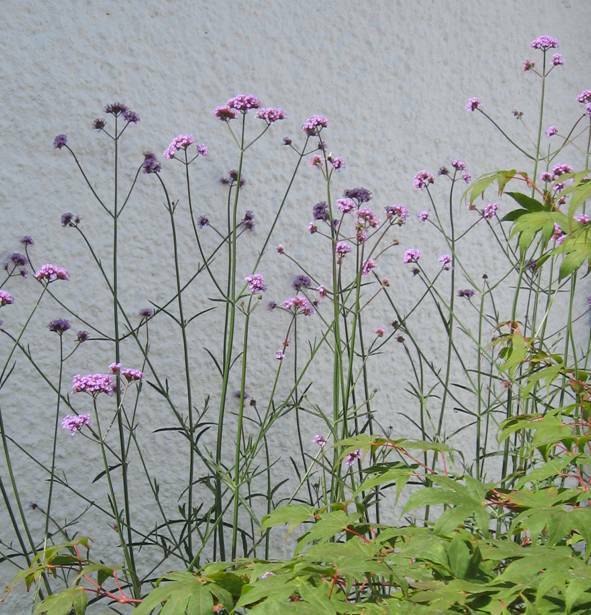 Growing to over 1.5m tall, the standard variety of Verbena bonariensis has a strong upright shape bringing stature and architectural interest to a bed. The smaller variety, ‘Lollipop’ is also particularly effective when planted amongst soft feather grasses such as Stipa tennuisima. An effective plant in both informal and formal situations. 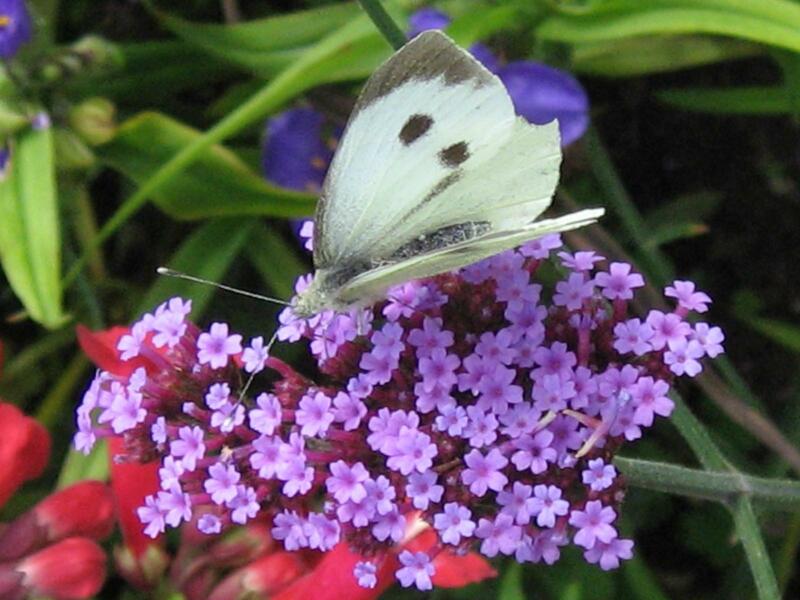 Verbena bonariensis has a very pleasant delicate scent that is extremely attractive to insects, especially butterflies. It loves sunny aspects but can cope with a degree of shade as well and will happily seed itself as long as the bed is sheltered. It is however susceptible to hard frosts. As the plant fades at the end of its flowering season, the plant should be left throughout the winter to create an interesting form in the bed as the stems look great when covered in frosty, ice crystals. This also protects the new shoots as they start to grow. Having said they seed happily, they can be a bit too enthusiastic and can become a little invasive. This is not a major problem as the extra shoots can be easily uprooted and disposed of, planted elsewhere or given away to friends. So an extremely useful plant in the garden and one that will bring a lot of pleasure.